An experience of Western Germany after WW2. The opportunity for Ukraine to repeat the success. 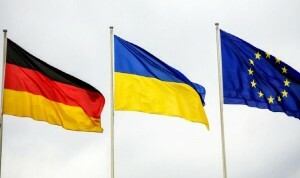 Germany is working on development of fundamental “Marshall’s plan” for Ukraine. Such a proposition from German side is the result of cooperation of German-Ukrainian cross-parliament group, headed by member of Bundestag Karl-Georg Wellmann. After WW2 Germany had destroyed economy and infrastructure, no government. There were the years not only of economic recovery, but of rethinking of past and creating of new lifestyle. Due to Marshall’s plan this new image was implemented. A lot are talking about the success, but not describe the mechanisms and instruments that not only allowed to put Germany away from deep crisis, but made one of the most powerful states nowadays. Relying on the experience of Western Germany, granted by “Marshall’s plan” funds had to be invested in private and industrial sector. Banks – the basis of investment process. They participate in equity of companies, by acquiring of stakes, as well they are interested in future development of industries and willingly to provide funds for development. Encouraging of gaining capital and massive governmental investments in Germany became the major factors of economic growth, and it is advisable to lead the example. Sadko Consulting sees the following ways of implementation, where Ukrainian companies and foreign investors would have to produce in Ukraine competitive product for EU and World markets. The basis of that plan, shall be the implementation of system of rights for credits, that will allow one companies to place orders at other companies. In that way the economy will have the main products and services that internal and foreign markets needs. Also, taking into account the experience of Germany, banks shall perform more active investment policy, oriented not only on debt financing, but also on the strategy, that are used by private equity funds. In other words Ukrainian banks shall care more about the business, they provide funds. Sadko Consulting is considering the development of integrational processes and international cooperation as guarantee of stability and development of foreign relations between Ukraine and international business community. Sadko Consulting provides consulting services, related to implementation of investment projects in Ukraine, perform market researches and feasibility study of investing in Ukraine. You can check our portfolio and services. Looking forward to your inquiries.